Man In Glasses Reading A Book. 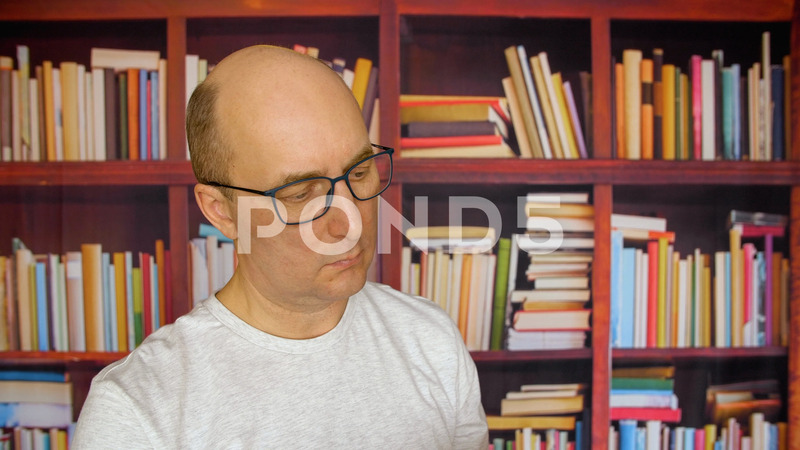 Description: Man in glasses reading a book. Front view man in glasses reading a book. Teacher reading a book in the library.